The Chinook Area Chamber of Commerce recently purchased 30 street banners that will be placed on Highway 2 and Indiana Street. The proceeds from the 2016 Festival of Trees were used to purchase these banners. We are seeking to fund raise for the purchase of additional banners to line the main routes in Chinook. As a fundraiser to achieve this, we are offering a space at the bottom of each banner to place the name of your business, organization or loved one as a memorial. 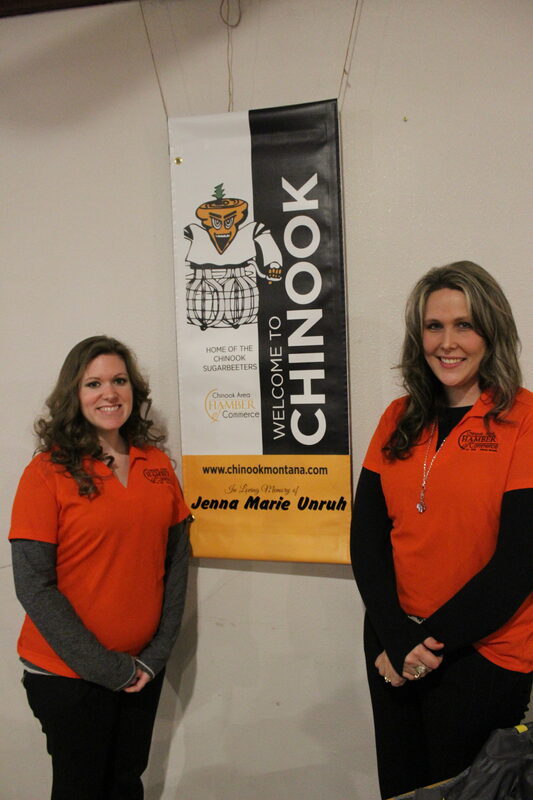 The cost per year for sponsorship as a business/organization of the banners is $100 per year, Non-Members of the Chinook Chamber will be $150.00 per year, the In Memory sponsors will be $175.00 every 5 years, and the funds raised will be used for the purchase of additional banners and the upkeep of already purchased ones. The Chamber hopes to see this project continue on in the future so seasonal banners can be purchased and placed periodically along with purchasing more for the highway. If you are interested in purchasing a banner, contact any Chamber of Commerce Board Member or call 357-3115 (Chamber Office) and leave a message, we will return your call as soon as possible.